They were among the few individuals we know of to be arrested on 9/11. Five men were pulled over in a white Chevrolet van and taken into custody on the afternoon of September 11, 2001, after they were seen celebrating the World Trade Center attacks from a parking lot across the Hudson River in New Jersey. The FBI had alerted local police departments to be on the lookout for the van, which was pulled over in East Rutherford, N.J., by Bergen County police. The van was searched by a bomb-sniffing dog, yielding a positive test for the presence of explosive traces, and samples were taken for testing, but the public has never been told whether actual explosive residues were found. The men were held for 71 days, according to ABC News, before they were deported to their home country of Israel without being charged. Much of the findings of the FBI’s investigation were redacted and have yet to be released to the public. The material within is a compendium of intelligence received, now known to be “laundered” through Russian Naval Intelligence on what we were told was on behalf of Snowden. Since that time, in the ensuing four plus years, we have found that a dissident FBI agent who filed suit against Director Robert Mueller for planning his assassination is likely responsible. After 9/11, something had changed in Cheney’s thought process. Perhaps it was the prospect of having been personally targeted by those 19 al Qaeda members on that fateful day. Or, perhaps the uncertainty of what might come next was simply too overpowering for Cheney to ever return to the measured, realistic approach to foreign policy that he once held. On that day, the formulations of Cheney’s infamous “one-percent doctrine” came about. The one-percent doctrine went like this: If there was even a one-percent chance that a terrorist or other American enemy could pull off another 9/11 — or worse — the United States had to commit 100 percent of its time, capabilities, and efforts to thwarting that one-percent threat, no matter the cost. According to this view, despite the existence of a massive, entrenched defense and intelligence bureaucracy, the United States missed the warning signs of 9/11. Cheney worried about what else America’s elite institutions could be missing. The one-percent doctrine was Cheney’s best solution for ensuring another devastating attack did not surprise the United States. Relevant to the movie "VICE", which we will talk about today. 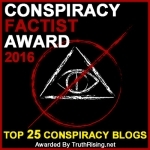 Cynthia McKinney: Truth About 9/11, 2008 Bailouts And The Sinister DEEP STATE - BREAKING! Nearly two decades after the deadly Sept. 11 attacks, a lawyers’ group claims the federal government did not properly assess evidence known to the FBI but left out of the 9/11 Review Commission findings, including reports of pre-placed explosives at the World Trade Center. The Lawyers’ Committee for 9/11 Inquiry and Architects & Engineers for 9/11 Truth filed a complaint Monday against U.S. Attorney General William Barr and FBI Director Christopher Wray, claiming the FBI failed in its federally mandated duty to assess all the evidence available that previous 9/11 commissions may have missed. “The FBI’s 9/11 Review Commission, and the FBI itself, failed to assess and report to Congress, as mandated, several other categories of significant 9/11 related evidence known to the FBI via reports in the press, via the web, and via public events and/or reflected in the FBI’s own records,” according to the lawsuit filed in Washington, D.C., federal court by lead attorney Mick Harrison. For the first time ever, 9/11 family members and advocates are taking legal action against the FBI aimed at forcing the Bureau to assess and report the evidence known to the FBI of the World Trade Center’s explosive demolition as well as other unreported 9/11 evidence. Jon Stewart, a long time comedian and reliable harsh critic of President Donald Trump, stunned the world this week by giving the president some major kudos for how he has handled one particular issue. During an interview Sunday with The New York Daily News, Stewart praised the Trump administration’s handling of a program that provides funds to ailing and injured responders and families during the Sept. 11, 2001, terrorist attacks. "The Trump Justice Department is doing a good job running the Sept. 11 Victim Compensation Fund," Stewart said. This is the second time this month that Stewart has praised the Trump administration’s handling of the 9/11 program. Dunedin Airport in New Zealand has been closed after a suspicious package was found. According to conflicting reports, the package was reported to be on the airfield and in "a navigation outbuilding". In a series of late-night tweets, Democrat Rep. Alexandria Ocasio-Cortez argued Monday that the United States shouldn’t have authorized military force against those behind the 9/11 attacks. Ocasio-Cortez was responding to a social media post by Rep. Juan Vargas (D-CA) criticizing Rep. Ilhan Omar for a series of recent anti-Semitic comments. The New York socialist objected to the notion that one cannot question foreign policy, incorrectly claiming both major political parties were in agreement in ratifying an Authorization to Use Military Force (AUMF) for the Iraq War. It wasn’t the first time I’ve been prominently libeled in The New York Times. Nor was it the worst. Compared to Stanley Fish’s grotesquely mendacious 2006 op-ed trashing me for something I never did—advocating 9/11 truth in the classroom—Alan Blinder, Julie Turkewitz and Adam Goldman treated me fairly well on today’s Sunday NYT front page by calling me a “controversial scholar of Islam” while accurately reporting what I said about Monica Witt, the ex-Air Force officer accused of spying for Iran. A reminder that the US Shadow Government legalized itself on 9/11 via "Continuity of Government". The Dark Overlord hacker group has released decryption keys for a second batch of 9/11 documents, totalling over 7,500 files. Additional document leaks containing “more secrets” and “more truth” have been promised, for a price. I think this is all a hoax to distract from the grand jury that will hear the evidence of explosives used in the WTC. An underground hacking collective known as “The Dark Overlord” reportedly announced on New Year’s Eve that it now has in its possession 18,000 documents related to the September 11, 2001, terrorist attacks – critical information that, because it could potentially blow the lid on 9/11 being an inside job, has prompted the U.S. Federal Bureau of Investigation (FBI) to launch an urgent investigation. Over the past 17+ years a great many people who have closely examined the events of September 11, 2001, have concluded that the official government story we were presented with simply cannot be true. Included amongst these people are thousands of architects and engineers, university professors, first responders, pilots, and many others. Despite the eminence of many of these authorities, the mainstream media – when not affording them the all-too-predictable silent treatment – continues to calumniate these learned individuals and cast them as ‘crackpot conspiracy theorists’ occupying the outter fringes of our society. All of that seems however. Jason Bermas of Pulse Change joins us to discuss the recently released “9/11 papers.” What new information is in this release, and does it tell us anything of value about 9/11? Can the documents be verified? The Deep State fears for its very existence if the truth about 9-11 comes out to the general public. So there is nothing they will not do to stop it. The actual evidence supporting controlled demolition theory is so convincing that a legitimate federal grand jury investigation will address this very question. Construction manager of the WTC says he believes the buildings could withstand multiple jet impacts, before the 9/11 attacks. Posting under the name “The Dark Overlord”, the hacker or hackers claimed on New Year’s Eve that they had taken emails and non-disclosure agreements relating to the 9/11 attacks that were sent and received by groups including insurers Hiscox and Lloyd’s of London and the law firm Blackwell Sanders Peper Martin, now called Husch Blackwell. Interesting timing, coming right on top of that Grand Jury that plans to look at evidence of explosives in the buildings! The news is the latest public extortion attempt from the group known as The Dark Overlord, which has previously targeted a production studio working for Netflix, as well as a host of medical centres and private businesses across the United States. The announcement also signals a slight evolution in The Dark Overlord’s strategy, which has expanded on leveraging the media to exert pressure on victims, to now distributing its threats and stolen data in a wider fashion. In its announcement published on Pastebin, The Dark Overlord points to several different insurers and legal firms, claiming specifically that it hacked Hiscox Syndicates Ltd, Lloyds of London, and Silverstein Properties. Could This Lead To The Feds Admitting To 9/11? Americans, in general, agree that that the 09/11 attacks were some of the most horrifying things that have happened in recent history in America. And most Americans think that the terrorist attacks on September 11, 2001 are settled in terms of being clear who committed these horrible acts. According to a recent report out of the United Kingdom, the same group that conducted the September 11 attacks on the World Trade Center and Pentagon in 2001 is now seeking to conduct attacks on passengers jets and airports to test their technology. The Senate unanimously confirmed Mueller as FBI director on August 2, 2001, voting 98–0 in favor of his appointment. He had previously served as acting deputy attorney general of the United States Department of Justice (DOJ) for several months before officially becoming the FBI director on September 4, 2001, just one week before the September 11 attacks on the World Trade Center and the Pentagon. The theory is untenable. It defies science and common sense. No wonder mainstream television (the Smithsonian Channel, owned by CBS) has happily offered it as an explanation for how the Twin Towers could come down without the use of explosives on 9/11. But this theory comes with a twist – it rejects both the official story and the notion that 9/11 was an inside job. The theory, posited by chemist Frank Greening and metallurgist Christian Simensen in the “Twin Towers” episode of Conspiracy: The Missing Evidence, is that fires from ignited jet fuel melted the aluminum airplanes and that the resulting molten aluminum came into contact with water from the buildings’ sprinkler systems. This, according to the theory, set off massive explosions that ultimately brought both skyscrapers down. “It was just a matter of time before the whole thing blew up — and down come the towers,” Greening says in the program. 9/11 Facts Collection … Thanks to Paul Craig Roberts. According to the laws of physics, this is consistent with controlled demolition. The planning and setup of controlled demolition takes weeks to months and requires unrestricted access through building security. According to documents on the CIA’s very own website, Osama bin Laden was a U.S. intelligence asset named Tim Osman. Tim Osman (Ossman) was recruited by the U.S. intelligence agency shortly after George W. Bush’s father became CIA director in 1976. «We should revisit the history of BCCI, a bank used by the legendary Palestinian terrorist known as Abu Nidal. BCCI was closely tied to American and Pakistan intelligence. Its clients included the Afghan rebels, and the brother of Osama bin Laden, Salem.»? It’s been 17 years. 17 long, hard and savagely bloody years that have left tens of millions murdered, maimed and displaced in Afghanistan, Iraq, Pakistan, Somalia, Libya, Syria, Yemen, occupied Palestine, Lebanon, Mali, Nigeria and occupied Kashmir. GWOT, the Global War on Terror, has raped the world. And it’s all because of what happened at the Twin Towers and the Pentagon on this day, September 11th, in 2001. T.H.E.Y. — The Hebrews Enslaving You — told you, the Goyim, i.e. the 99% majority here on this beautiful little sphere of blue and green called Earth, that Muslims did it. That’s right. Those damn Muslamics. Hating ‘Murica for its freedom. Being all towel-headed and terroristy! Moozlemicals bypassed the half-trillion dollar air defense system of the US in the most closely-guarded, maximum-security airspace in the world all to trigger an unending war on the Islamicate. Makes perfect sense. Right? I mean… Seriously? Like… for real, for real? YOU HAVE GOT TO BE KIDDING ME. A single common theme emerges from most public discussions of U.S. foreign policy. No matter how widespread the carnage, devastating the financial impact or enormous the opportunity cost of war – the United States is always presumed to have meant well. US foreign policies are designed as much to improve the well-being of foreigners as to protect US national security. It is relatively rare for revisionist historians or informed critics questioning the true motives behind US foreign policy to be allowed any significant platform to air contrarian views. Despite this pervasive discrimination, a significant segment of the American public not only believes US elites exploited the 9/11 attacks, but would like to see US government officials who backed the "Global War on Terror" criminally prosecuted. Trump had promised a re-investigation into 911. Evidence debunking the official government lies will be seeing criminal grand jury! LCfor9/11 got a letter back from a US attorney agreeing to comply with a Federal law requiring submission to a special grand jury of report by Lawyers' committee and 9/11 victim family members of "yet to be prosecuted 9/11 crimes." Holocaust Revisionist & 9/11 Truther GOP Congressional candidate John Fitzgerald Got 44,000+ Votes, 28% of the total in Calif Election! "Holocaust denier" & 9/11 truther California Republican U.S. Congressional candidate John Fitzgerald @JFitz4Congress got 44,000 votes, 28.1% of the vote in a Dem. district! Here was his campaign platform. (*Who's up for a little Public Degregation ? My mouth is already watering for Turkey with stuffing! Pumpkin pie! OH yeah – a great tradition just like when I was a kid.